Enough for the times, where you feel exhausted of doing all the chores for repair, but nothing seems to work. A professional service can help you, not only to save time and energy, but money as well. In this kitchen scenario, DR Appliance has come into play. We will handle all your dishwasher repair service needs, so you can focus more on things at home that need much of your attention. We understand that this is one of the common issues most residential homes are facing in their kitchens today, which is why we pride ourselves to extend a professional service to address the issue right away. When to Call for a Professional Service? In your kitchen, specifically in your dishwasher appliance, there are some minor or major factors that you need to pay attention. 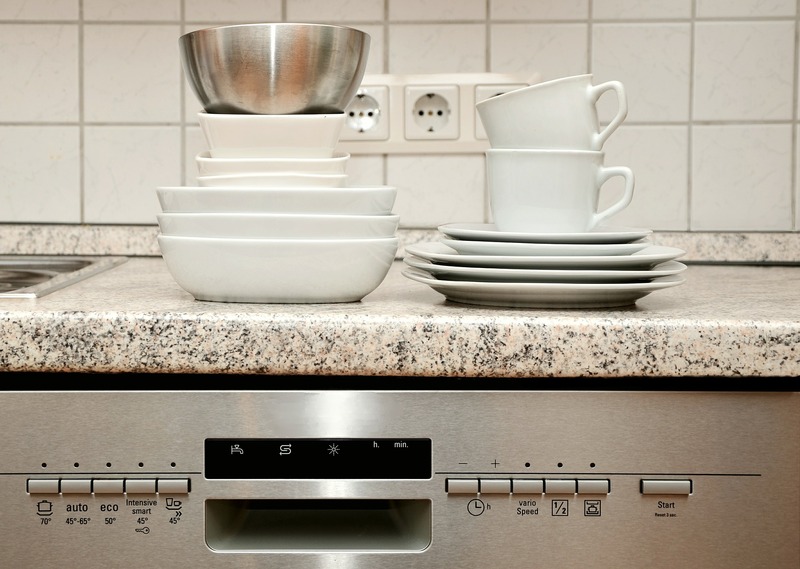 When you notice some issues in your appliance, the first and effective step to do is to call DR Appliance to provide you with professional and efficient dishwasher repair service. If you notice the factors below, feel free to call us. If these issues remain untreated, there are potential risks to happen in your valued appliance. That is why it is essential to take initial step while the problem is minor, so you can avoid huge expense for major appliance problems in the future. Why Choose Our Dishwashing Services? Partnering with us will guarantee that you have the smartest choice in your life. We are offering some additional service perks, which you cannot find anywhere else. We provide a quote before we start the job. This will allow us to know the damage and at the same time, you will identify know how much you are going to spend and how long the job would take. We will send you our most qualified, certified and licensed technicians who have the most appropriate ability to help you along the way. We are charging the service by job and not by hour to allow you to meet the budget you described. We guarantee to leave your residential home as clean and neat as we arrived. No messy leftovers. No dirty oils. No spills on the floor. 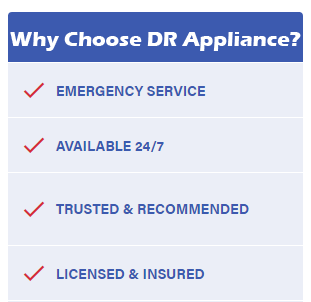 DR Appliance will ensure to deliver you with satisfaction regardless of the size of your needs and requirements. Our professional dishwasher repair is more than just a great service, but great price too.